3/9/2015 UPDATE: This event has been canceled. For more information, contact KCC Selective Admissions at seladm@kellogg.edu. Individuals interested in studying to pursue a career in health care can get a sneak preview of sorts during Kellogg Community College’s Allied Health Pre-Admissions Session this week. The event, which is free and open to the public, will be held from 5 to 7 p.m. Tuesday, March 11, beginning in room 210 of the Roll Health and Administration Building on KCC’s campus at 450 North Ave., Battle Creek. 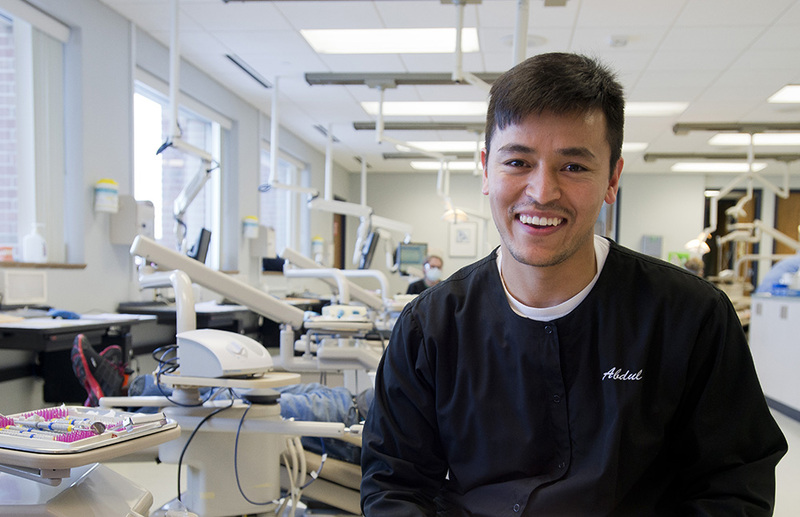 The session will also include tours of specific program areas of the campus associated with individuals’ programs of interest, including the College’s Dental Hygiene Clinic and various simulation labs, so potential students can get a feel for the program environment. The Allied Health Pre-Admissions Session is open to anyone interested in studying one of the above Allied Health programs at KCC, but seating is limited and will be granted on a first-come, first-served basis. To secure a seat for the event, interested individuals can register online at www.kellogg.edu/ahpasregistration. For individuals interested in pursuing a nursing career, KCC will be offering two Pre-Admissions Nursing Sessions later this spring, the first from 5 to 7 p.m. April 30 and the second from 2:30 to 4:30 p.m. May 20. Online registration for these events is open now and available at www.kellogg.edu/pansregistration. For more information about Allied Health programs at KCC, visit www.kellogg.edu/allied-health-admissions or contact KCC Selective Admissions at seladm@kellogg.edu.